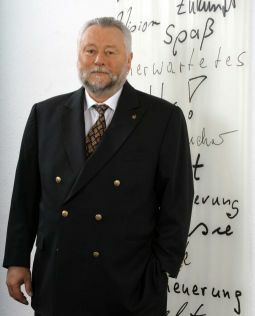 Bernd Hallier, born at July 28 th 1947 in Hamburg/Germany, studied at Hamburg University and graduated with a MA-degree in Economics. He then worked in distribution where he became assistant to the Board and Key-account-manager of an international cigarette company. During that time additionally as a part-time student he wrote his PhD-thesis about the response to high-tech-innovation in wholesale/retail versus the relationship between trade and consumer-products industry. His analysis of cigarette-sales via vending machines (included in his thesis) could be seen as a first ECR-project applied already between 1979 and 1982 (Hallier, B., Organisation und Marktstrategie im Tabakwarenfachgroßhandel, Göttingen, 1983). In 1985 he became head of the Institute for Self-Service (ISB) in Cologne/Germany which he first transformed into the German Trade Institute (DHI) and then in 1993 into the European Trade Institute (EHI) today labeled as EHI Retail Institute. Already during his studies he gained international experience due to traineeships in Turkey , Israel, South Africa, Japan, China. Later he traveled and lectured in all continents of the world. getting the 50 years-jubilee-Medal in 2003. Beside his activities in Prague he had also supported Budweis University as a visiting professor from 2006-2009.
in 2007 doctor honoris causa at the Ural State University of Economics. In 2011 B.Hallier was awarded with the "Star of Eurasia" and the title "Honorary Ambassador of Peace" by the Eurasian Economic Youth Forum. In 2012 it was labelled at the Astana Conference into the I World Economic Youth Forum - being attended by the Nobel Laureates Prof.Dr. Aumann and Prof. Dr. Maskin. In 2012 within the framework of the International Year of Cooperatives declared by the General Assembly of the UN - the Republic of Moldova awarded Prof.Dr.Hallier the title "Honorary Member of the Moldavian Academic Cooperative Community". In 2013 Hallier became Adjunct Professor at Vitez University in Bosnia-Herzogewina. Together with Circle International he is establishing double diploma via Distance Learning. His publications cover themes of macro-economics as well a micro-economics especially in trade, but he also covers the intertwine between commerce and culture. His book “Culture and History of Commerce” is published in the German, Korean, and Russian tongue. The Chinese version is under preparation. His book “EuroShop” (German/English) became an international standard for shopfitting and was translated into Russian with the title "Modern stores. A history of technical development".